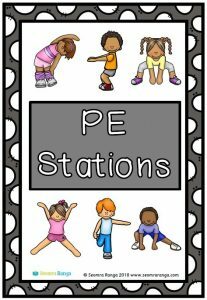 This pack contains eleven posters for use in the PE class. It shows cartoon images of children engaged in eleven different forms of physical activity eg. side stretches, sumo squats, overhead squats, push-ups, star jumps, knee bends.